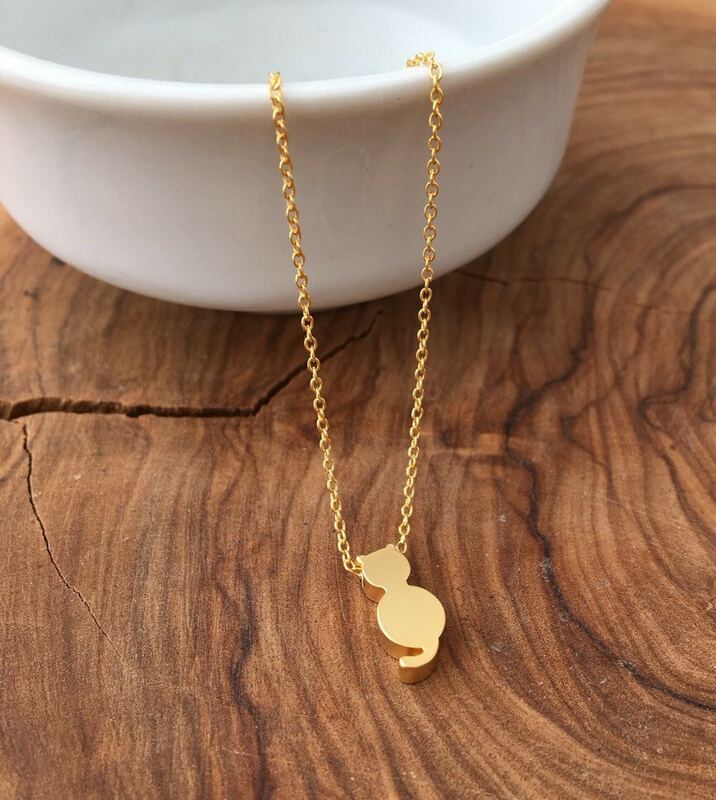 Tiny and delicate little 14KT matt gold plated Cat on a gold plated chain. Red Coral little pendant bead at the end. 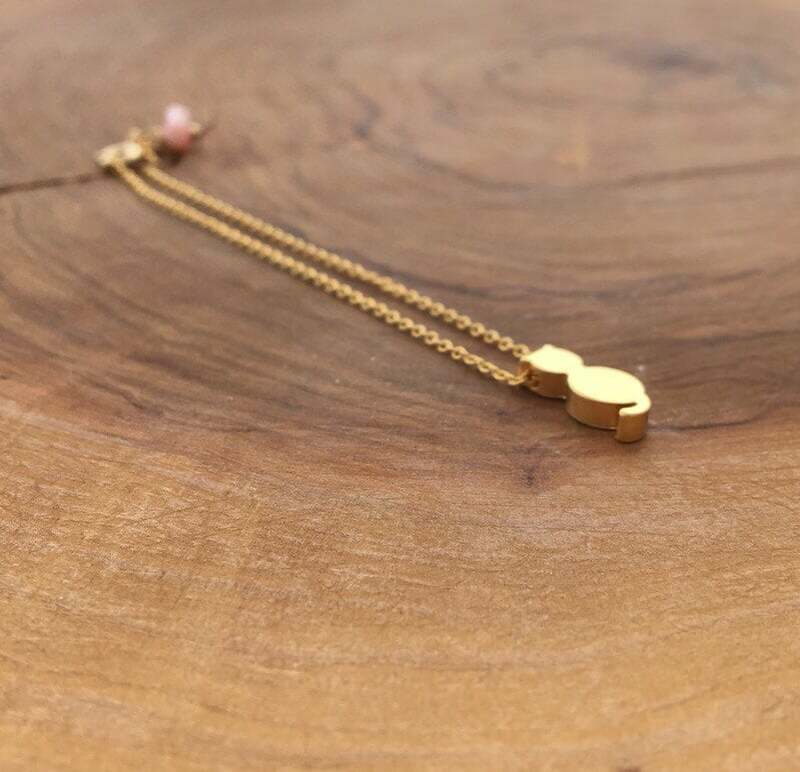 Dainty, simple and minimalist jewelry, perfect for everyday! 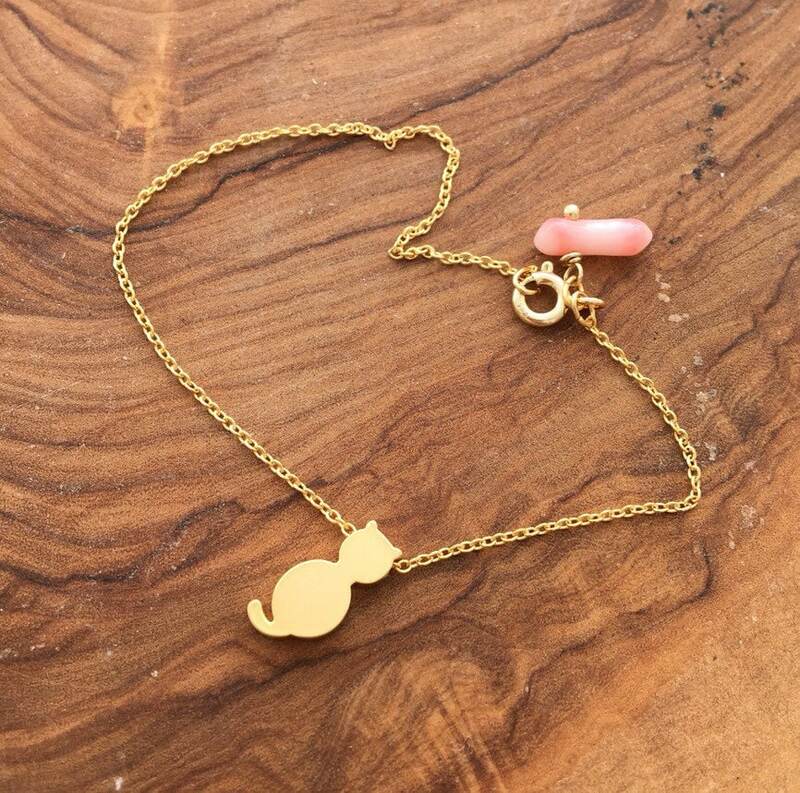 ✪ Tiny 14karat matt gold plated 6x12mm cat. ✪ Gold Plated very thin chain, with silver gold plated clasp. Choose your preferred length. It is usually made 6.5inch/16.5cm. If you need other choice than the existing please leave me a note. 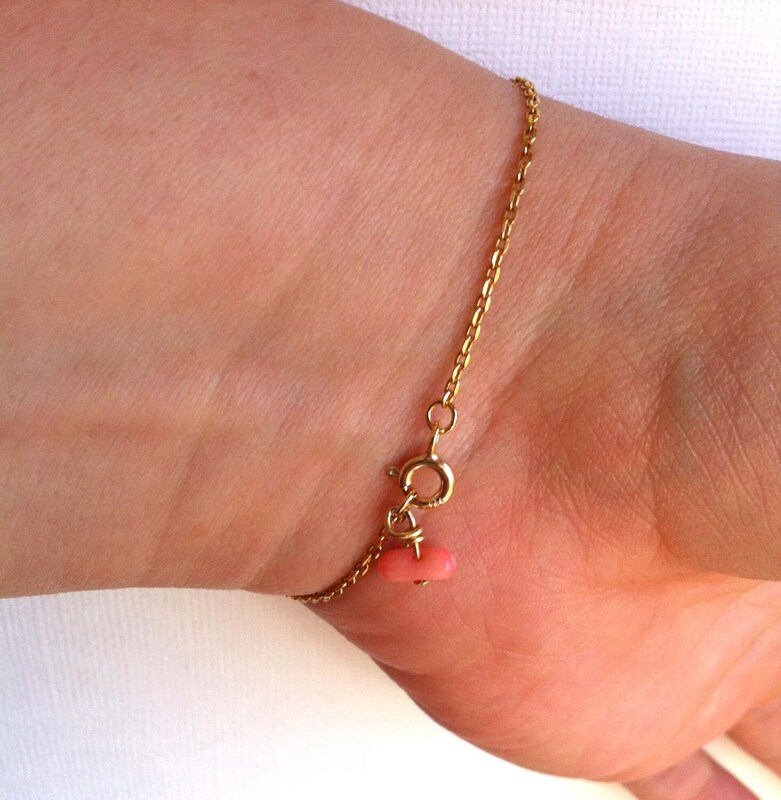 Check also my Tiny gold Skull Bracelet! 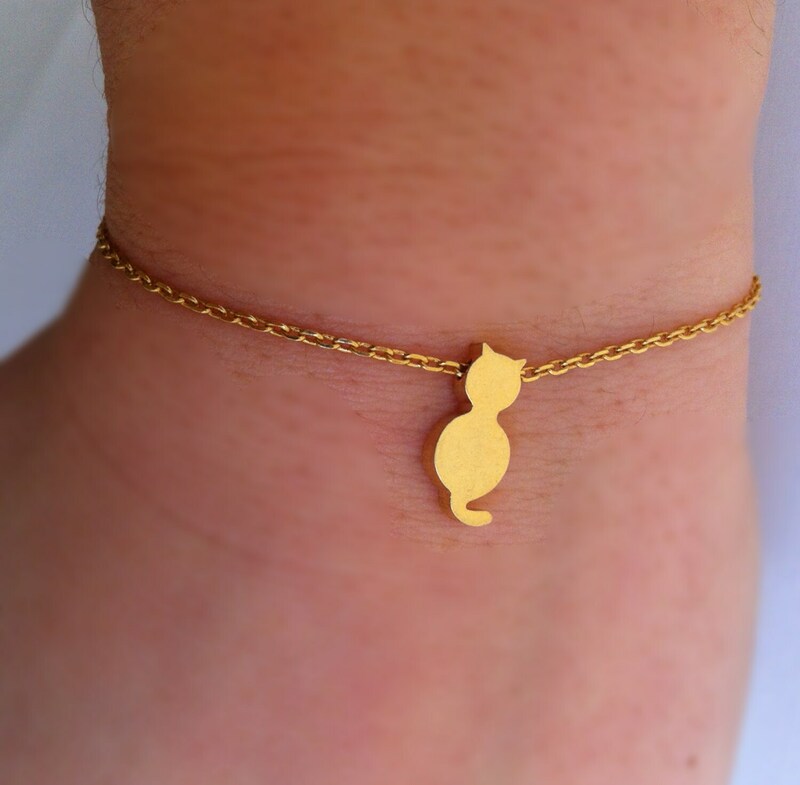 These bracelets are super cute and high quality! Thank you!